OMS Slipstream Monoprene Fin with Spring Heels are made with monoprene creating a lightweight but high performance fin. 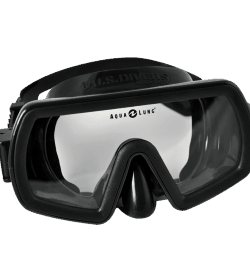 Slipstream Fins give divers an easy donning fin that will also “deliver the goods” in any condition. The light weight helps to keep the divers legs in optimal position when a low-silting kick is necessary and is also optimal for divers to reduce damage while working around sensitive marine areas like coral reefs. Spring Heels are a non-adjustable, comfortable, stainless steel spring strap which are covered in durable yet pliable nylon. This unique attachment mechanism is low profile, which prevents entanglement in inline traps. The straps automatically adjust to the diver’s feet and also automatically adjust at depth for compression. You’ll feel secure and safe while diving with Spring Heel Straps.